Are you thinking about selling your Vancouver condo? Obviously, I would love to help. But so does every other Realtor, am I right? So what makes me any different? Over the years I have studied some of the best business and marketing minds in the world. Including Gary Vaynerchuk & Seth Godin. I recently attended Social Media Marketing World (one of the largest marketing conferences in the world.) The continuos pursuit of self improvement coupled with thousands and thousands of hours of studying the best business and marketing minds and applying them to real estate has given me an advantage over the competition. My marketing has been sought after by many Realtors across North America and several local businesses here in Vancouver. 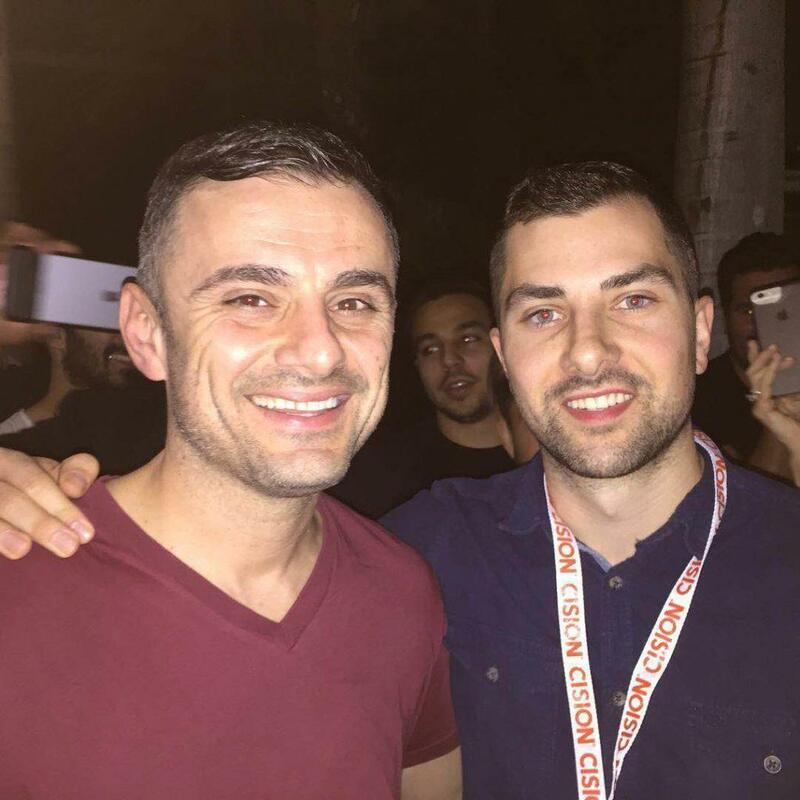 Steve Saretsky & Gary Vaynerchuk. I’ve been able to leverage and market my personal brand where I’ve been featured by some of the largest media outlets including, The Vancouver Sun, The Globe & Mail, The Georgia Straight, CKNW, and Global News. It should come as no surprise that I am able to utilize many of the same marketing techniques to market and expose your home. Q: What kind of marketing do you do for my condo? A: Everything is online. Over 90% of buyers start their home search online and growing. Why would you not want to focus there? I start with professional photos. How your home shows online is absolutely critical. I hire a professional to come in and take the best photos. Too many Realtors take their own photos and the result is extremely damaging to your bottom line. I did a video on that here. I also run very targeted Facebook Ads. There are 1 billion active mostly users on Facebook this is critical. However, I am not just running a blind ad spewing out your listing to people in the lower mainland. I get very detailed about who it shows to. We analyze who we think is the ideal/ most probable buyer. As an example let’s say it’s a 1 bedroom 500,000 condo in Downtown Vancouver. Good probability is it will go to a young working professional. I then target the ad to target people aged 26-34 making 100,000 per year who are likely to move and are currently living with a roommate. Yes, you can target that specific. Incredible, right? I don’t know how Facebook knows these kinds of things but they do, they know everything. This kind of target specific ad probably has a much better conversion rate than say a postcard in the mail that takes 2 weeks to show up by the time it’s printed and mailed out. In fact, your condo is most likely sold by then. Q: Will you advertise my condo in the newspaper? A: No. Sorry, but this is 2016 does anybody still actually read the paper? If they do, I can promise you they aren’t reading it to find a new home. The time a home is printed in the newspaper it’s most likely sold. Newspaper advertising does little to sell your home. Dirty little secret time, newspaper advertising is mostly used by Realtors to brand themselves not to actually sell your home. Q: What else will you do to sell my home? A: Besides the online advertising and professional photography I also provide a floor plan and professionally done feature sheets. When buyers come to view your home it’s important they have a nice takeaway to hold on to. Chances are they’ve already viewed a bunch of other condos, what will separate yours? Q: Will you be there for all the showings? A: Yes, 100%. How can a Realtor sell the house and tell buyers what’s truly unique about it if the selling Realtor isn’t even present. My schedule revolves around your showings. It’s important to always be flexible and accommodate the buyers schedule to ensure maximum amount of showings and exposure. A: I charge 7% on the first $100,000 and 2.5% on the remaining balance. Of that, 3.25% on the first $100,000 and 1.1625% will go to the buyers agent. If you’re looking for a discount Realtor then I’m probably not the best fit. Q: Another Realtor is offering to sell my condo for 1% commission why should I pay more? A: You shouldn’t. However, I’m a firm believer in you get what you pay for. What kind of marketing will they be doing? That steep discount has to come from somewhere, and it will probably come out of the marketing budget. Something to note, that means the buyers agent will most likely only be compensated 0.5% commission. Not much incentive to bring their potential buyers don’t you think?